Hiking and Trekking Around Nice: What are the Best Spots? Located at the gateway to the French Riviera ―in the Mediterranean coastline of the southeast edge of France― Nice brims with charm and natural beauty. With the sun shining almost 300 days a year, this vibrant city by the sea can be enjoyed all-year-round. Given its easy access through the Nice Côte d’Azur Airport ―the third busiest airport in the country, after the two in Paris―, Nice is the main hub to visit spectacular cities and villages in the Provence-Alpes-Côte d’Azur, and one of the top travel destinations in France. The legendary Promenade des Anglais, the world-famous art museums and the picturesque old town with its narrow streets are definitely among the city’s most popular attractions. But Nice lies where the Alps meet the sea and therefore, is surrounded by many interesting places to explore in short and exciting getaways. 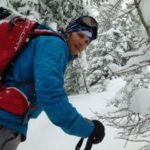 Fabrice, an International Mountain Leader (UIMLA) who lives in Nice, is our local expert to unveil the endless opportunities that the South of France offers for those who want to enjoy an active holiday in nature. ‘The coastline of the French Riviera (Nice, Cannes, Antibes, Monaco) is just a small part of the huge Provence-Alpes-Cote d’Azur region! There’s so much diversity and so much to see: National Parks, medieval villages and a wide variety of landscapes and atmospheres’, he explains. ‘In Nice you can ski in the morning and swim in the afternoon. That’s what my grandfather ―a ski instructor involved in the Chamonix Olympic games in 1924― used to say’, he recalls. With such a vast terrain, it’s hard to decide where to go. That’s why we asked Fabrice to list the 5 hiking adventures at a short distance from Nice that best represent the diversity of landscapes you can find here. Keep reading to find out which they are! Photo courtesy of Fabrice Morel. Mercantour National Park is one of the most famous protected areas in the country, stretching for over 650 square km along the French departments of Alpes-de-Haute-Provence and Alpes-Maritimes. The first you’ll notice on your way there is how the landscape begins to change: ‘In less than 1.30 hour from Nice, you can go from a landscape full of olive trees to an alpine environment with edelweiss, fir or larch trees, meadows and pasture’, says Fabrice. The park comprises eight different valleys and a few alpine villages, and it’s a true alpine playground for hikers and outdoor lovers. ‘There are thousands of trails, it would take years to explore it entirely’, says Fabrice. Some of the attractions in Mercantour include Allos Lake ―the largest lake in the Alps― and the Vallée des Merveilles (Valley of Marvels), which is home to a unique collection of Bronze Age petroglyphs, hailed as the second largest site of rock art in Europe. Other areas, like Tinée and Cian Valley, are known for their ski resorts. ‘This itinerary takes us to a nice lake and to the highest peak in the park (Gélas, 3,143 m), where we can enjoy breathtaking panoramic views of both the sea and the Alps (once we were able to see Swiss and the Monte Rosa massif!). We can even step on the Italian border’. From the Italian side, there’s another protected area: the Parco Naturale Alpi Marittime. After years of close collaboration, both parks became the first European natural reserve. Wild animals like ibex, chamois, marmots or wolves, ignore frontiers between countries, and it’s no wonder to spot them on the park’s many hiking trails. About 50 wolves migrated from Italy during the 90’s and are now protected in a park that can be visited in Mercantour. This hike is also a great opportunity to get to know small communities in this area, which are mostly dedicated to pasture and traditional cheese production. If you are looking for a longer trip, you can venture on this 2-day hiking tour in the Vallée des Merveilles. Getting there from Nice: you can easily reach the village by bus (1h 30m). Also, Nice Côte d’Azur Airport is 70 km from Saint Martin Vésubie and there’s a bus shuttle service from the airport to the village. Best time for this trip: June to October. Saorge, one of the most beautiful of the perched-villages in the South of France. One of the most distinctive attractions of the French Riviera are its perched villages. This scenic medieval villages (‘the 100 villages’) hanging on the top of a mountain are scattered all along the countryside ―the ‘mid-country’, as the locals say― and were built as fortresses during the Middle Ages. ‘From all the villages, Saorge is one of the nicest to discover ―says Fabrice. It is perched right above the Roya river and it’s very special because of its spectacular rooftops covered with thousands of beautiful wild orchids’. Wild orchids are an icon of Saorge, and can be best appreciated during spring time (specially in May). Other recommended spots to explore in this area are La Brigue village, or Tend, next to the Valley of Marvels, explains Fabrice. The itinerary he proposes goes through Peiremont route, hiking on narrow steep passageways and discovering the relics of feudal times, like old bridges, Baroque churches, fountains and monuments. For those with an interest in history and architecture, this hike is something you wouldn’t want to miss! Getting there from Nice: by train, to Fontan-Saorge station (1h 30m). Best time for this trip: April-May, September-October. Discover the perched-village of Saorge on a 1-day hiking trip with Fabrice! Hikers in good shape and with a taste for glorious panoramic views will certainly enjoy this hike in the Maritime Alps, starting at only 30 minutes from Nice. The medieval village of Peille is the starting point of this itinerary that leads you to Baudon Peak, a 1264 m peak overlooking the Mediterranean Sea and the Alps. ‘This is a trip recommended to fit people, as the trail is steep and rocky, although not too long. We quickly get to probably the most amazing mountain view around!’. The hike takes around 4 hours and afterwards, you have some to wander around the streets of the ancient village of Peille. The medieval village of Peille. Photo courtesy of Fabrice Morel. Peille is (another) perched village located between Monaco and Menton. In the past, it used to be one of the main stops on the old Salt Road that went from the port of Nice to the northern Alps. Getting there from Nice: you can get a taxi to Peille (30 min drive), or go by bus (1h) or train (40 min). 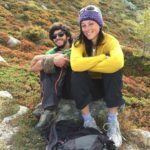 Book a guided hiking trip to Baudon Peak from Peille with Fabrice! In the French Riviera, cliffs and hills are known ‘Baous’. This one, a 300 m high cliff in the small town of Saint Jeannet, makes an exciting getaway at only 30 min from Nice. ‘Very close to Saint Paul de Vence ―one of the most famous villages of the French Riviera, known for its art galleries― we find the village of Saint Jeannet, which is less touristy and hence, more authentic’, explains Fabrice. This trip is a good option for families and those who want to discover how was ancient life in this rural part of the French Riviera. From the top of Baou Saint Jeannet, which is often visited by locals, you’ll catch amazing sights of Nice, Antibe, Cannes and the alpine mountains of Mercantour National Park. Starting point: Saint Jeannet Village parking. Getting there from Nice: you can get there by taxi (30 min) or bus (around 1h). Discover Baou Saint Jeannet, near St Paul de Vence, on this hiking trip with Fabrice! Located at only 30 min from Cannes, the Esterel massif is a group of red volcanic rocks surrounded by forest. The contrast between the intense red of the hills and the blue Mediterranean Sea makes this one of the most scenic landscapes in the French Riviera. ‘This place is really enjoyable during Fall, Winter and Spring. The red rocks give a little touch of a western landscape and we can enjoy the sea as well. It’s a must do, especially in winter! In February, mimosa is blooming and some places are turning all yellow’, recommends Fabrice. One of the options he proposes involves climbing to the top of the Cap Roux Peak, where you can find some of the best views in the area. With many different trails available, this is a great destination for families and sporty hikers. The only advice is to avoid visiting it in the summer months, because it can get really hot! Getting there from Nice: by train (1h 30m). There’s a also bus shuttle service from Nice Côte d’Azur Airport (1h). Join Fabrice on an exciting hiking tour in the beautiful Esterel red rocks! While world-wide famous for its majestic coastline, the French Riviera boasts incredible natural landscapes and ancient villages awaiting for you to explore. If Nice is on your radar for the next holidays, make sure to add this recommended hikes to your list! 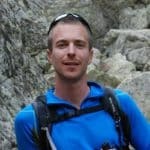 Contact Fabrice for a guided hiking tour and set out on a unique journey in the South of France!